A HEMPFEST GUT CHECK What about marijuana and lungs? 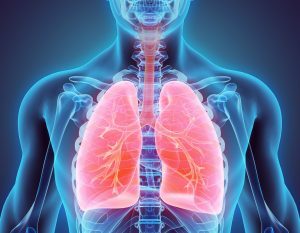 So, what’s the big deal about the lungs? Are people who smoke pot at risk of diseases of the lung such as lung cancer or lower respiratory tract infections? Scientists have been concerned about this because marijuana and tobacco smoke have some of the same contents that have toxic effects on respiratory tissue. So, what does the latest research tell us? There does not appear to be an association of marijuana smoking and airflow obstruction. Smoking marijuana alone, not in combination with tobacco, does not appear to cause Chronic Obstructive Pulmonary Diseases such as emphysema. It’s uncertain whether marijuana smoking leads to pulmonary infection (inflammation in the lungs). If someone takes large puffs, inhales the smoke deeply into their lungs, and holds their breath, much more tar from marijuana smoke is deposited in their lungs than is typically the case with tobacco inhalation. Scientists are not certain whether marijuana smoking can increase the user’s risk of cancer. While many studies don’t find an increased risk, it’s still possible there is such a risk for heavier marijuana smokers. — Tashkin, D.P. (2013). “Effects of marijuana smoking on the lung.” Annals of the American Thoracic Society, 10 (3), 239-247.